Well, another week and another snow storm in Virginia Beach. I write this as the snow is falling outside of my window with a pleasant dusting of an inch or two on the lawn. Unfortunately, the roads are far less pleasant here as we don’t have the infrastructure in southern Virginia to handle these unexpected weather events. We should be able to hold down the fort in the office this week, with just a possible slight delay in our hours. However, that’s not going to stop us from offering some more new coins from the FUN show! In fact, we processed another 15 boxes of coins this week that have returned from CAC or from the show, and we’ll be set with new items for several weeks. One interesting fact for me was that we segregated out more expensive items that we purchased at the show, and we had over 80 coins that were valued over $5,000! This had to be a record for us returning from a show, and we were locked and ready to take advantage of whatever buying opportunities that presented themselves. If you were at the show, it’s probably why it seemed a bit chaotic behind our table. We were active and that’s why we were able to come back with not only a large quantity, but impressive quality as well. We were also involved in a fun transaction that we’ll be broadcasting early next week via a Press Release. Outside of auction, it was probably the most expensive deal we’ve ever put together, and it was far easier than we could have expected. Suffice it to say, when neat coins are available, they don’t last long. One last thing to note, you may see some minor changes in our images in the coming weeks. We’ve been tinkering with our imaging processes for the last two months and have reached a bit of a breakthrough quality-wise, and we’ll be sharing that permanently on our website with our new images. Our faithful customers might notice some small changes, but I think that you’ll be thrilled with the higher quality, and we’re just ecstatic that we can make another slight improvement to our offerings. So, if you have any questions, thoughts, or comments, please don’t hesitate to pass them along to us at coins@davidlawrence.com. We’ll keep working to improve all facets of what we do, and we hope that our love for what we do shows through in our commitment to service and quality. By the way, if you’re in Houston this week, you might run into Gary on the bourse floor. He tried to escape the Minnesota winters for a few days and visited Houston during the ice storm. Also, John and Mike will be in Las Vegas next week at the Luxor for the PCGS Invitational, so if you’re around either of these places, say hello. If you’ll be in Vegas and want to see a specific coin on Wednesday or Thursday, please let us know! We’d be happy to bring it along. Why we love it: This gorgeous, flashy gem has some of the brightest white and deep-mirrored surfaces you’ll see on a proof Liberty Seated Dollar. This issue is incredibly rare in high-grade, ultra-cameo with a very low original mintage of just 960 coins and only two examples graded higher by NGC. To complement its blazing white, proof fields are subtle yet very pretty golden tones around the rim. Value: The PCGS Price Guide values this coin at $46,500. We have this gorgeous, flashy gem example of a very rare ultra-cameo Seated Dollar available in this week’s auction reserved at a staggeringly low price of only $32,000. This is an unbelievable opportunity to acquire this extremely scarce, nearly perfect proof gem, at a significant savings under the PCGS Price Guide! Why we love it:This flashy, high-grade gem Liberty Seated Quarter has simply stunning eye appeal with its gorgeous ultra-cameo, deep mirrored surfaces. Our blast white example of this proof issue has only three other examples of its kind graded higher by PCGS and NGC from a very low original mintage of only 930 coins. Value: The PCGS Price Guide values this coin at $12,000. 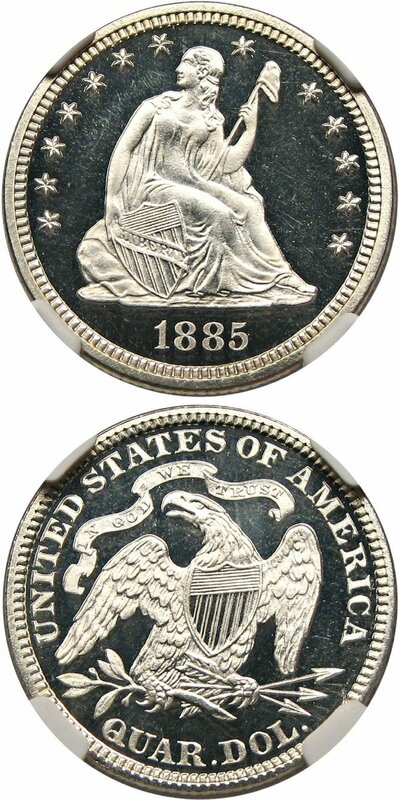 We have this beautiful, blazing ultra-cameo proof Seated Quarter available for purchase for only $7,000 via Make Offer. That is a staggering 43.75% discount off the PCGS Price Guide! 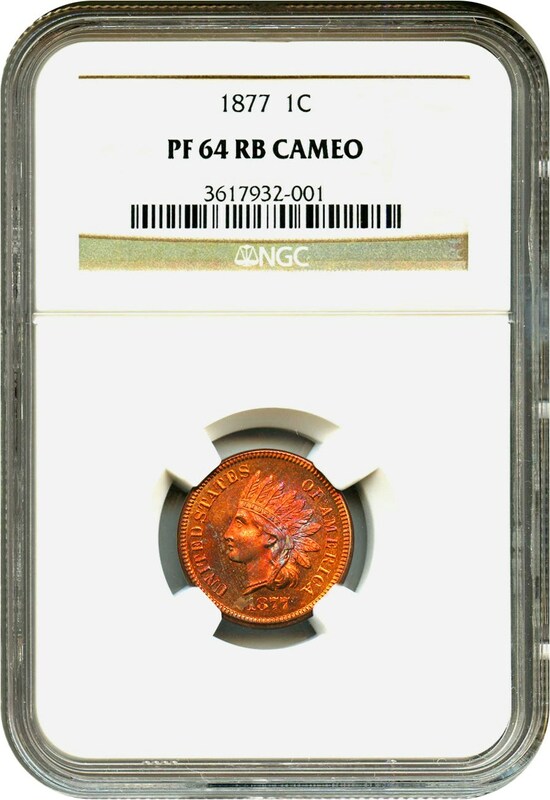 Why we love it: This is a stunning proof example of the very famous key date Indian Cent, which is popular and greatly desired by all U.S. coin collectors. There is no other example by any grading service with both the red-brown color designation and very scarce cameo designation. This specific piece is extremely unique and beautiful with its bright fiery red-orange surfaces and highlights of magenta toning. Value: The PCGS Price Guide values this coin at $4,900 in Proof 64 RB and at $9,000 in Proof 64 Cameo, which this example is the only in existence that is a rare combination of both. This very pretty, uniquely graded key date proof is available for purchase for the extremely reasonable price of just $4,950 via Make Offer! Why we love it: An attractive and original example of this scarce, early Large Cent with the slightly harder to come by Lettered Edge. This coin is very high end for its grade, as denoted by the CAC sticker of approval, due to the blemish-free surfaces and a beautiful, even, deep brown coloring. This example has surprisingly nice eye appeal for the issue as there are barely any noticeable die cracks and wear to go along with its rich, brown color. This piece comes to us from a fresh collection in the Minnesota area and is one of Gary’s Highlighted Items. Value: The PCGS Price Guide values this coin at $11,500. We have this pretty, original example of this very early and scarce issue available in this week’s auction reserved very reasonably at only $10,500. $1,000 under the PCGS Price Guide! Why we love it: A beautiful, lustrous example of this popular, scarce date Carson City Morgan Dollar from the Redfield Hoard. This coin has gorgeous surfaces with few blemishes that are mostly white complemented by some lovely rose-gold peripheral toning. The 1893-CC is a very scarce date by itself, but is considered especially rare out of the famous Redfield Hoard as the hoard contained very minimal amounts of this date. Value: The PCGS Price Guide values this coin at $7,750. We have this popular and scare CC-Mint Morgan with beautiful luster and toning out of the famous Redfield Hoard available in this week’s auction, and it has already met the very reasonable reserve of $7,450 and will find a new home this Sunday night! Why we love it: This incredibly lustrous ultra-gem Bust Half is rare and unusual to come across in this nice of condition, with only three graded higher by both PCGS and NGC. This piece has an excessively large amount of luster for the issue, and its pristine white surfaces make its eye appeal stunning. 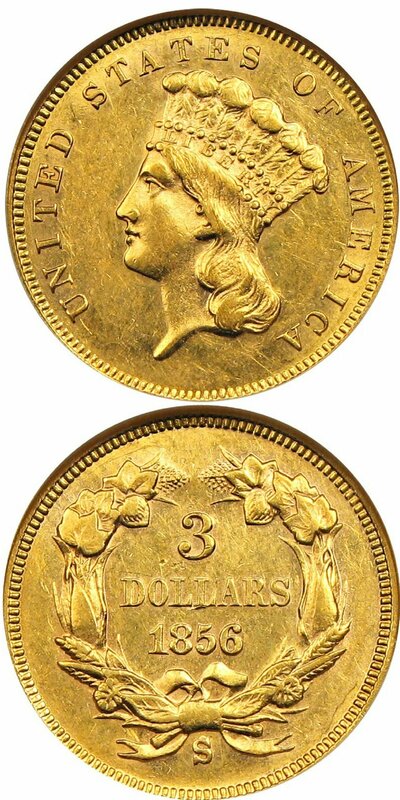 The perfect type coin as you will not find another comparable Bust Half of any date with this much luster and eye appeal. Value: The PCGS Price Guide values this coin at $22,500, and CPG has it at $21,500. We have this unbelievably high-grade, lustrous Bust Half Dollar available for purchase for a far more reasonable value of $12,150 via Make Offer. $10,350 off PCGS Price Guide and $9,350 off CPG! An amazing opportunity to acquire a truly one of a kind coin for an incredibly fair price. Why we love it: This beautiful gem three cent piece has nearly perfect, mostly white surfaces with very subtle, light golden hues. The coin has extremely considerable amounts of blazing luster giving it fantastic eye appeal. The gorgeous eye appeal and near perfect quality for the grade make this piece stand out in our eyes. Not only is this issue at the very top end of its grade, but there is only one example graded higher by PCGS, making it ideal for the Registry Collector! Value: The PCGS Price Guide values this quite conservatively at $3,850 with the next grade up valued at $6,750. The last CAC’d example brought $4,750 in auction with a non-CAC specimen coming in at $3550, thus denoting the conservative Price Guide value. If the MS67 were to auction, we’d be surprised if it didn’t reach nearly $15-$20,000! We have this lovely, lustrous trime available in this week’s auction reserved at $4,350. Why we love it: A beautiful gem example of this very popular, first year of issue Saint with blazing luster and bright gold surfaces. 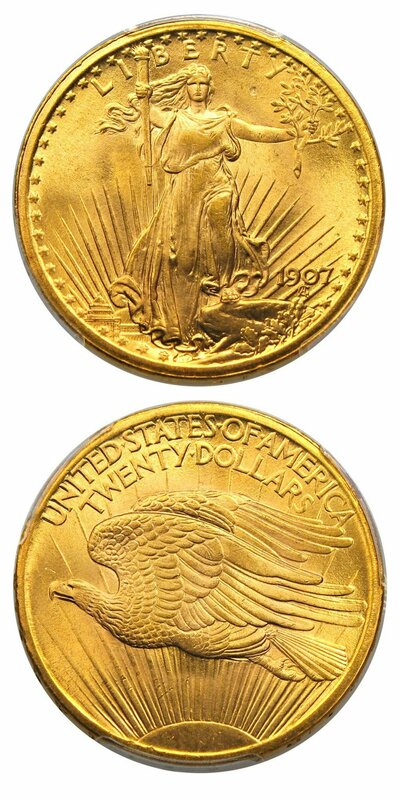 This Saint Gaudens Double Eagle is the perfect type coin as it is the only type 2 Saint dated 1907. This example has hardly any blemishes with ideal coloring and perfect luster giving it premium eye appeal. Value: The PCGS Price Guide values this coin at $6,500. We have this first year of issue gem Saint with fantastic luster and beautiful coloring available for purchase for only $5,850 via Make Offer. That’s $650 off the PCGS Price Guide! 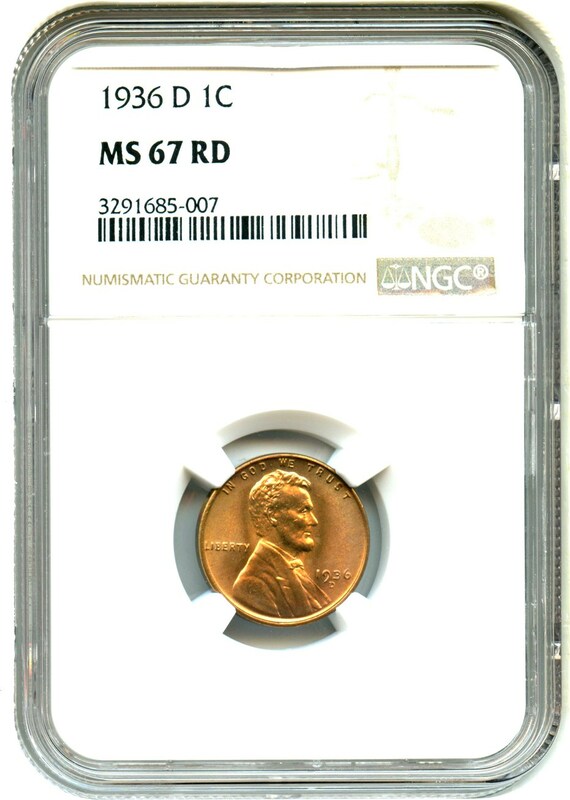 This example offered is graded MS66 which is the absolute ideal grade for this coin as it jumps nearly nine times in value to $57,500 at the next grade. 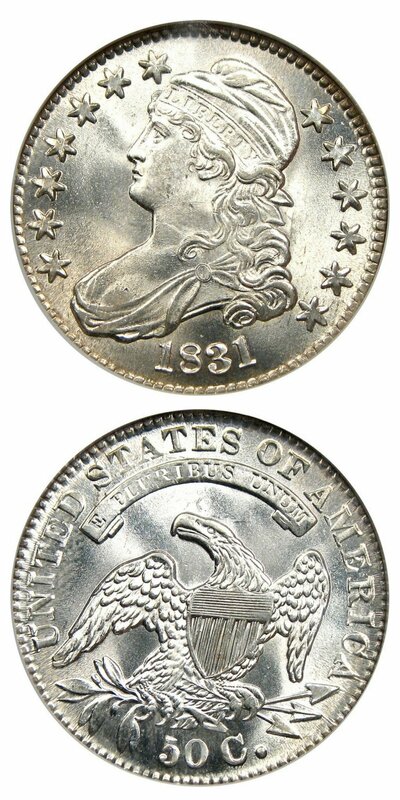 Why we love it: An elegant, deep-mirrored Trade Dollar with very attractive proof surfaces that make it look like a true gem. This coin was approved by CAC for its stunning eye appeal, making this example seem under-graded. This issue comes from a very low original mintage of just 900 coins. A scarce and beautiful coin along with the other proof Trade Dollars dated from the 1870’s is much harder to come by than the issues from 1880-1883 and thus seem like excellent values to us. Value: The PCGS Price Guide values this coin at $5,050. We have this lovely, near-gem example of this scarce, proof Trade Dollar available for purchase for only $4,600 via Make Offer. That is nearly $500 off the PCGS Price Guide, with a CAC sticker to boot! Why we love it: A beautiful, ultra-gem example of this popular re-punched mintmark Buffalo Nickel variety with fantastic luster. The surfaces of this lustrous gem are nicely struck, mostly white and reflect the grade very well. The eye appeal of this high-grade Buffalo Nickel variety is stunning, and this coin is tied for the finest known example graded by NGC. Value: The PCGS Price Guide values this coin at $450 with the CPG coming in at $520. 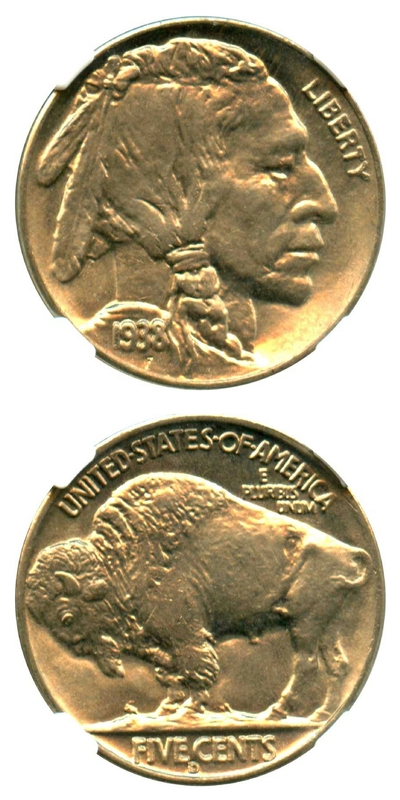 We have this popular Buffalo Nickel variety with fantastic eye appeal and tied for the finest known at NGC available for purchase for the very reasonable price of just $375 via Make Offer. $75 off PCGS Price Guide and $145 off CPG! Why we love it: A very pretty and original AU example of this scarce date $3 Princess Gold piece in an old NGC holder. We grade this coin as an AU55+, but the holder adds a small premium to the coin, and we’d rather it find a new home with a little “juice” remaining. The 1856-S is a much better date as it comes from a low original mintage of only 34,500 coins produced. The surfaces have just a few blemishes and very light, even wear. That along with its original, rich golden coloring makes for an overall nice eye appeal. Value: The PCGS Price Guide values this coin at $3,250. We have this very attractive, original example of this scarce, low mintage Princess Gold available for purchase for only $2,925 via Make Offer. That would be $325 off the PCGS Price Guide for this very desirable, better date $3 gold piece! Why we love it: This striking, ultra-gem Lincoln Cent has pristine surfaces with no noticeable blemishes. These bright red surfaces are complemented nicely by some pretty luster making for stunning eye appeal. This beautiful coin is perfect for a registry set of red Lincoln Cents. In fact, only 23 examples are graded higher by PCGS all in 67+, with none in 68 or better, and only three NGC examples are considered superior. Value: The PCGS Price Guide values this coin at $225. We have this registry quality, bright red Lincoln Cent with very nice eye appeal available for purchase for the very reasonable and affordable price of only $185 via Make Offer. $45 off PCGS Price Guide! Auction #998 Lots Posted. Browse & Bid Now! Auction #997 Lots Posted. Browse & Bid Now!